← One, two, I’ve lost Artoo! Three, four, open the blast door! 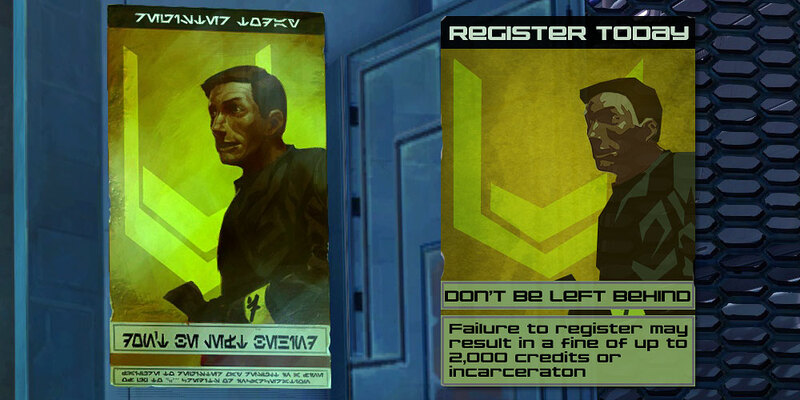 This week, I’ve highlighted two posters from Justicar Territory on Coruscant. 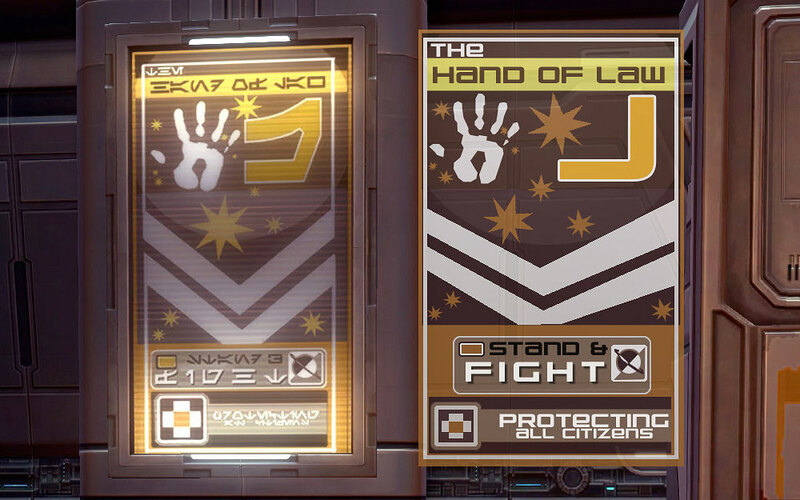 The Justicar’s Brigade is not one for subtly, but these posters display two distinct styles worthy of examination. The first one is almost patriotic with its splash of stars and stripes. The promise of protection alludes to the Justicar’s origins as a group of disgruntled soldiers looking to retake their neighborhoods abandoned by the government after Darth Malgus’ Sack of Coruscant during the war. The hopeful tone, however, did not last. Other posters are much more ominous in design and message. 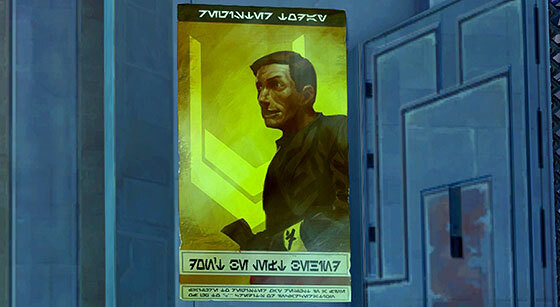 This second poster’s sickly green color and warning make it clear that the Justicars are less interested in protection than maintaining order. The inverted chevrons in both posters illustrate this change. In the first, they sweep upward and indeed seem to lift and support the planet at the top of the poster. The second poster, however, is weighted in the opposite direction, and the chevrons have become oppressive and point the composition down. 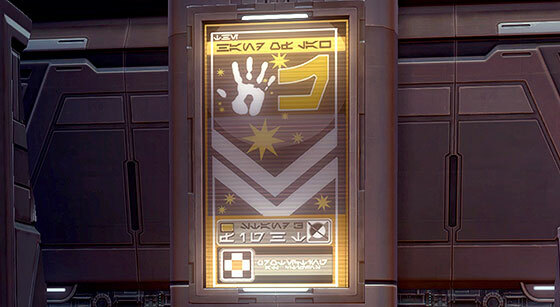 You don’t need to read the Aurebesh to know exactly what the message is. Justicars love their propaganda and there is much more to be found. I’m certain to return to this subject in the future.